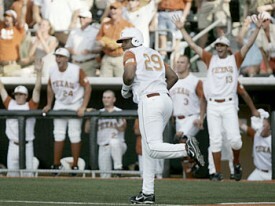 Texas will open CWS play Sunday against [tag]Southern Miss[/tag] at 6pm on ESPN2. Want live Texas baseball coverage? Follow @40acressports on Twitter and we'll have live updates and opinions during next week's College World Series.